The Dao Dai Ban belong to the so-called Red Dao; they are a large subgroup of the people inhabiting regions of southern China, northern Vietnam, Laos, and Thailand. 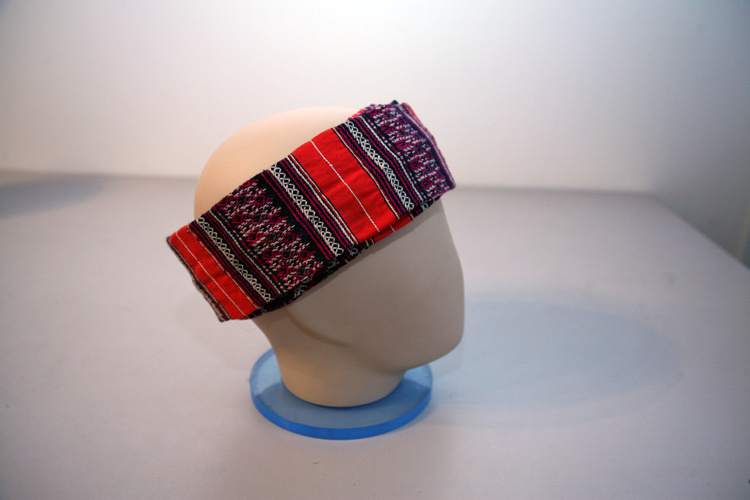 Such headbands are made ​​from black fabric and they are commonly worn in the Vietnamese province of Lao Cai. 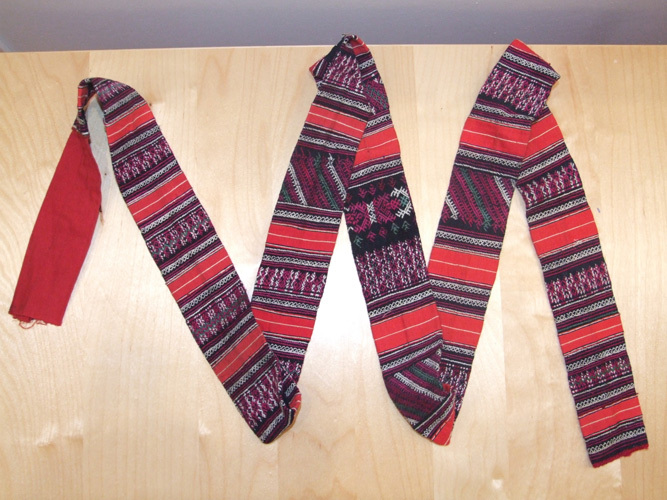 However, this case is quite unusual: the bandage is a set of stitched-together pieces of cloth, embroidered with small patterns. The length of this narrow strip, wrapped around the head several times is 180 cm, and sometimes such bandages reach up to three meters in length. The young ladies of the Dao wear those only at their wedding, of course.